Adult $78.99: Must be 12 years old or older to use the BOB. Ever wondered what it would be like to drive your own submarine? 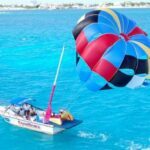 Well, wonder no longer, because with the BOB’s (Breathing Observation Bubble), you can experience a wonderfully unique activity in Cancun. 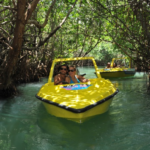 You will be driving your BOB in the Chitales Reef; 35 feet deep coral reef of the coast of Cancun. 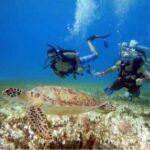 This reef is incredibly popular with divers and snorkelers because of the fantastic visibility (approx. 30 meters) and the diverse marine biology that can be seen. 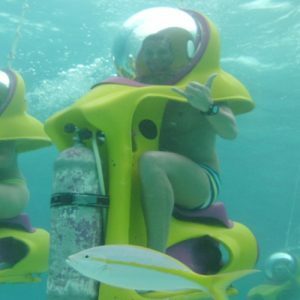 Unlike Scuba Diving, no qualifications are needed, whilst giving you more marine insight than snorkeling, you can glide through the clear waters of the Mexican Caribbean on an incredible BOB scooter. Whilst floating to depths of 20 feet, you can admire the exotic marine wildlife and the lush variety of reefs that the Caribbean Sea has to offer. 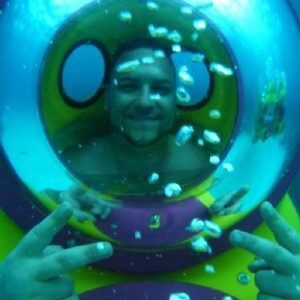 Tour Includes: Roundtrip transportation to the reef, 30 minutes BOB ride to enjoy the reef, snorkeling tour, soft drinks. Reef: Chitales 10 mts. Tour Notes: Dock fee is required $ 6 USD and National Park $28 pesos. Fees subject to change. A medical form must be completed to do the activity. This activity not suitable for pregnant women and children under 12. Any questions you have, please send to; info@wonderousworld.com and one of our team will be happy to assist!